(NaturalNews) If it goes by the name "vaccine," then Paul Offit is all for it. It doesn't matter if the vaccine contains brain-damaging mercury preservative or aluminum adjuvant. It doesn't matter to Offit if the vaccine retrains the immune system to weaken at the first line of defense as its mode of action bypasses the humoral defense mechanisms. It's simple and blind. If the vaccine is deemed "medical science," then Paul Offit is all about it -- no questions asked. He's often the mainstream media's lead spokesperson promoting vaccines, and he is quick to judge anyone who is skeptical of modern medicine or vaccine philosophy. He often labels vaccine skeptics "anti-vaxxers," even though these are the people who advocate for safer vaccines and medicine that doesn't have such debilitating side effects. 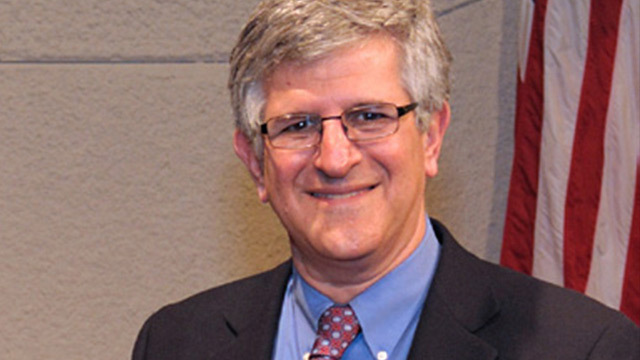 In his book, Offit prejudges the evidence and is quick to criticize those seeking God's will in their life. To deconstruct the role of faith in the healing process, Offit relies on an outdated article in the journal Pediatrics which cites a list of faith-healing churches and provides some defunct information on them. Oppenheimer called Offit's mean-spirited tone toward faith healing as "a crude, oversimplified argument." How might this anger against faith ultimately fuel Offit's ignorance for promotion of unsafe vaccines? The ineffectiveness and lack of safety data for vaccines continues on into the future, because zealots for the vaccine industry (like Offit) are only motivated by anger toward faith and anger toward anything that disproves their blind adherence to modern medicine. Passionate anger and emboldened pride perpetuate lies about many things, and that includes vaccines. These lies are then carried through the media grapevine, like gossip gone awry. At the heart of the lie is nothing more than an angry, faithless and prideful soul. Offit's pride is what keeps him promoting vaccines and pharmaceuticals, despite their risks. How can this man's medical advice be trusted when he is only fueled by anger toward faith? In his campaign against faith, Offit has done nothing but lead himself further from faith, while leading people toward pharmaceutical dependence. His pride ignores the fact that people everywhere (including yours truly) disprove his ideology on a daily basis by leaning on faith and trusting in one's own humoral immunity and antibody production within. In fact, one doesn't need a continuous line of injections from pharmaceutical companies that simulate immunity. One doesn't need to be exposed to viruses grown in monkey kidneys and bovine serum and have their body stimulated by aluminum adjuvant to respond to these lab-grown viruses. The more this kind of "science" is promoted, the more people will just accept it blindly. Offit's book Bad Faith is really just a reflection of his own prideful and blind adherence to modern medicine and the long list of vaccines that he thinks should be mandatory for all human beings. What's interesting is that the body was created with its own humoral immunity and ability to produce antibodies. By inserting lab-grown viruses through needles, these first lines of defense are trained to take a backseat and therefore weaken. Without exercising these crucial first parts of the immune system, the body grows weak for fighting future infections. Real immune system science would help people build their own humoral immunity without the need for pharmaceutical dependence that causes more problems and slavery in the end.